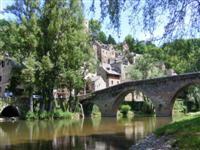 We have developed some self-catering walking and activity holidays in beautiful regions such as the Tarn and Aveyron in south west France, the Beaujolais or the Vanoise in the French Alps. They are designed to offer walking holidays to those people who are looking for maximum flexibility. We have selected some of the best and sometimes unusual historic properties (villas, chalets, cottages etc) set in beautiful regions where great walks, activities and sight seeing are all close by. Our selection will offer a unique range of self-catering rental villas, cottages, chalets and apartments, with something for everyone. A hand-picked selection of some of the best self-catering rental accommodation in wonderful suroundings. 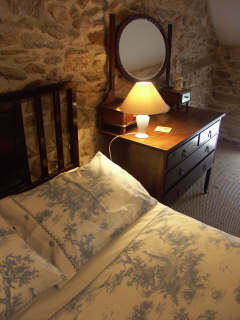 Ideal for those looking for authentic historic cottages or houses. Detailed information supplied about the region, with places of interest to visit and suggested walking tours in the area. Many holidays will include a welcome meal on your arrival allowing you to relax on your arrival. With no set itinerary our self catering walking holidays are ideal if you want to be able to choose what you do and when you do it. You will be given details of suggested walks but you are free to choose how little or how much you do each day. This flexible approach means that you will have plenty of time to visit the attractions of the area or simply relax at your property in wonderfull unspoilt surroundings. We will supply you with walking maps and walking route notes. Each holiday is given a walking grade, which indicates the difficulty of the average walk included in the notes. However, with the exception of those trips in mountainous areas it is possible to make your walking holiday easier by selecting only the easiest and shortest walks. The majority of our destinations have walks that are aimed at anyone of average fitness. These carefully researched routes enable you to explore deep into the region allowing you to discover its distinctive identity and character. Most of the regions we have chosen offer possibilities for other activities such as cycling, mountain biking, canoeing, horse riding etc. Please let us know if you would like us to organise anything before your holiday starts, for example, such as the hire of bikes. For a less energetic holiday or simply to take a break from walking, you may prefer to visit many of the places of interest that lie within easy reach, such as fortified medieval villages and towns, ancient castles and chapels, or family-run vineyards where you can sample the wines. Our detailed web pages (for the moment our brochure does not included these holidays) will allow you to choose the property and region that is suited to you. Our holidays are listed by both region and the type of property to help you in your search. We will be happy to offer you personal advice so that you can choose the one that is just right for you. This is particularly the case if you have any queries relating to facilities or access. Take a look at the list of rental properties and the walking in that region. Our self catering walking holidays are ideal if you are not looking to be tied to set meals or just simply want to keep the cost of your holiday to a minimum. Cook for yourselves or dine out when you wish, its enirely up to you. However, as it may be late when you arrive on your first night, or you may be tired if you have driven, we have organised a tasty welcome meal in many of our properties (often prepared by the property owner). In others a selection of complimentary groceries are provided so that you don't have to worry about shopping the moment you arrive. Details are included on our holidays pages. In order to give you an idea of the cooking facilities in the properties, we describe the basic appliances that are provided. To help you get the most out of your holiday, we provide detailed information which includes property details, access by road and public transport, local services and facilities, including local market days, sites and places of interest, cultural and geographical information about the region. Walking maps and notes are also supplied. Sometimes they are sent out before the holiday, sometimes they are collected on your arrival. Sometimes the walking information is loaned whilst in others they are supplied as part of the holiday package. Please see specific holiday rental pages for more information. The property owners are often on hand to be able to provide further local information and suggestions. The following general information applies to the majority of our self-catering holidays. However details may vary according to each specific holiday, so please check each holiday page in detail. Most holidays only run from Saturday to Saturday. Out of the main holiday seasons it may be possible to book at dfferent times and for short breaks. The properties are usually classified according to strict guidelines for safety and amenities enforced by such bodies as Gite de France. Such standards are not always the same as those in the UK. Many properties are historic buildings with distinct local character. When you arrive please familiarise yourself with the accommodation, and take note of any specific risks, especially if you are travelling with children. For example some properties may have unguarded swimming pools or ponds. Small children must be supervised at all times. Bed linen is included in the price of each property. Towels are not always provided so please refer to your holiday documentation and bring these with you if necessary. Heating and electricity are included, unless stated otherwise in the price panel. Final cleaning is included at all properties, but you still have the responsibility to leave the property as you found it. For the time being, travel to your accommodation is not included in the holiday price. We can, however, assist you with travel information or book travel arrangements on your behalf. Our travel options page with each holiday's details provides information on possible travel options. You can also visit our travel shop for a list of travel operators. If we book ferry crossings or flights on your behalf we will need full passenger details. Statutory legislation obliges all cross-Channel operators to hold the names, ages and gender of all passengers and whether any special assistance is required on board. Please provide these details at the time of booking to prevent hold-ups at port. Furthermore, throughout 2010, the UK government will be continuing to implement its requirement for everyone travelling internationally into and out of the UK to submit Advance Passenger Information (API) to their travel provider (including airlines and rail and ferry operators). This information includes full given names as shown on the passport, date of birth, nationality, passport number, plus issue and expiry dates. Where we have made travel arrangements on your behalf, we will request the required information from you and submit it to your travel provider.